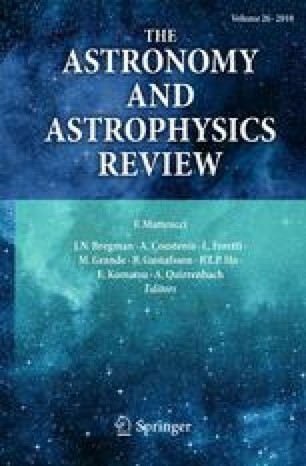 We describe the present state of massive star research seen from the viewpoint of stellar evolution, with special emphasis on close binaries. Statistics of massive close binaries are reasonably complete for the Solar neighbourhood. We defend the thesis that within our knowledge, many scientific results where the effects of binaries are not included, have an academic value, but may be far from reality. In chapter I, we summarize general observations of massive stars where we focus on the HR diagram, stellar wind mass loss rates, the stellar surface chemistry, rotation, circumstellar environments, supernovae. Close binaries can not be studied separately from single stars and vice versa. First, the evolution of single stars is discussed (chapter I). We refer to new calculations with updated stellar wind mass loss rate formalisms and conclusions are proposed resulting from a comparison with representative observations. Massive binaries are considered in chapter II. Basic processes are briefly described, i.e. the Roche lobe overflow and mass transfer, the common envelope process, the spiral-in process in binaries with extreme mass ratio, the effects of mass accretion and the merging process, the implications of the (asymmetric) supernova explosion of one of the components on the orbital parameters of the binary. Evolutionary computations of interacting close binaries are discussed and general conclusions are drawn. The enormous amount of observational data of massive binaries is summarized. We separately consider the non-evolved and evolved systems. The latter class includes the semi-detached and contact binaries, the WR binaries, the X-ray binaries, the runaways, the single and binary pulsars. A general comparison between theoretical evolution and observations is combined with a discussion of specially interesting binaries: the evolved binaries HD 163181, HD 12323, HD 14633, HD 193516, HD 25638, HD 209481, \(\Phi\) Per and \(\upsilon\) Sgr; the WR+OB binary V444 Cyg; the high mass X-ray binaries Vela X-1, Wray 977, Cyg X-1; the low mass X-ray binaries Her X-1 and those with a black hole candidate; the runaway \(\zeta\) Pup, the WR+compact companion candidates Cyg X-3, HD 50896 and HD 197406. We finally propose an overall evolutionary model of massive close binaries as a function of primary mass, mass ratio and orbital period. Chapter III deals with massive star population synthesis with a realistic population of binaries. We discuss the massive close binary frequency, mass ratio and period distribution, the observations that allow to constrain possible asymmetries during the supernova explosion of a massive star. We focuss on the comparison between observed star numbers (as a function of metallicity) and theoretically predicted numbers of stellar populations in regions of continuous star formation and in starburst regions. Special attention is given to the O-type star/WR star/red supergiant star population, the pulsar and binary pulsar population, the supernova rates.